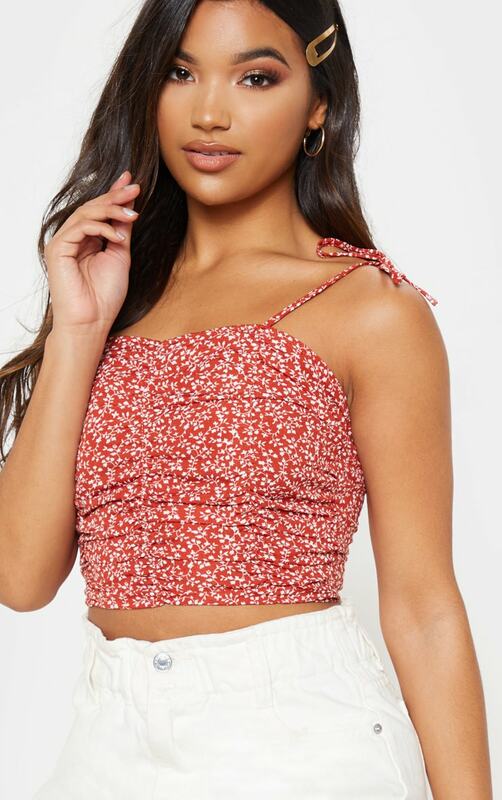 Take your summer look that extra mile with this on point crop top. Featuring a red ditsy floral material with a shirred detail, cropped length and tie detail straps. We love this styled with white denim shorts and cowboy boots for a look we're loving.